Art to Healing is committed to promoting ongoing professional development and education in art therapy. We are also passionate about creating a community of expressive art therapists who are curious about extending their knowledge in art therapy, yoga, mindfulness and trauma-informed practice. We run workshops and trainings that seek to bring together participants from allied health, psychology, education and other helping professions. This interaction helps professionals to increase their skill base in the therapeutic arts, recharge and engage their own minds creatively with the view to bring new perspectives and approaches to their work with individuals and communities. We also run workshops and training with grassroots, non-government and government organisations in Melbourne, Australia. Please complete the contact form below and a member of Art to Healing will respond within two to three business days. 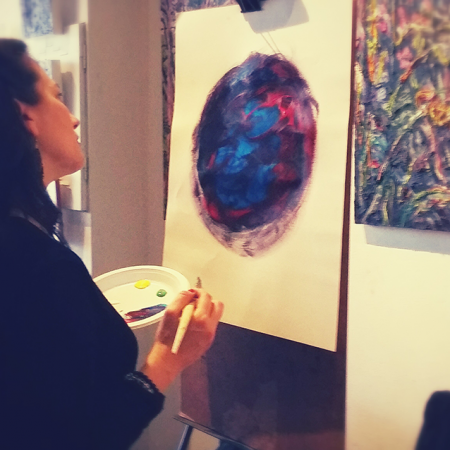 "Thank you to Art to Healing, for your beautiful offering of the 'Art Therapy and the Triune Brain' workshop. Not only did I learn valuable information to inform my arts therapy approach in counselling young people, I was also able to access and receive the personal healing available through the art therapy exercises you led us through whilst holding a safe and nurturing space. I feel like my heart is full and my toolbox is too." - Aubrey, Counselling and Support Worker.